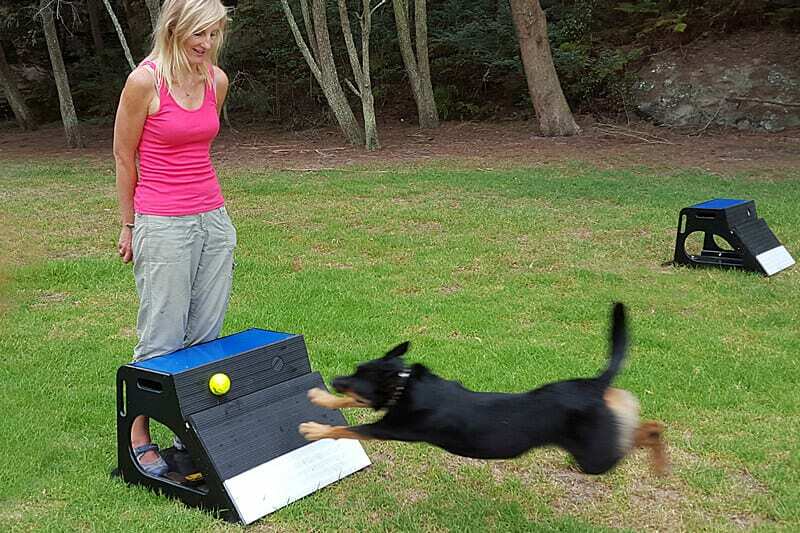 Flyball is simply the most fun you can have with your dog. 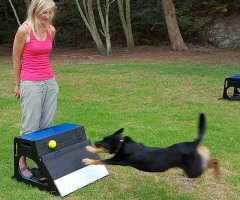 Your dog gets to run, jump, fetch and receive lavish reward for doing so. What could be better! A Flyball race consists of two teams of four dogs competing side by side in a relay. 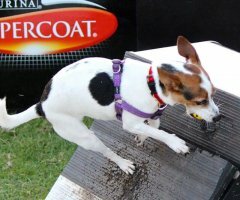 When released, the first dog crosses the start line, jumps over four hurdles, then triggers a box which ejects a ball that the dog catches in its mouth. 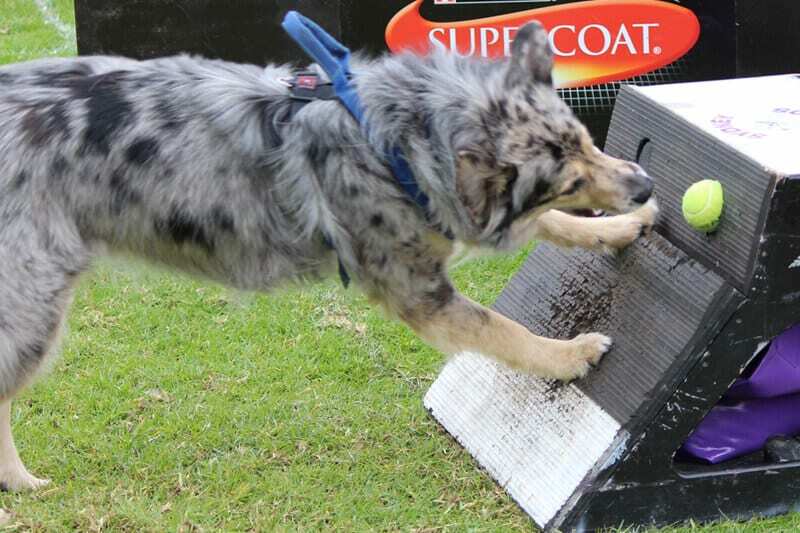 The dog simultaneously does a ‘swimmers turn’ and returns over the four jumps to their handler. 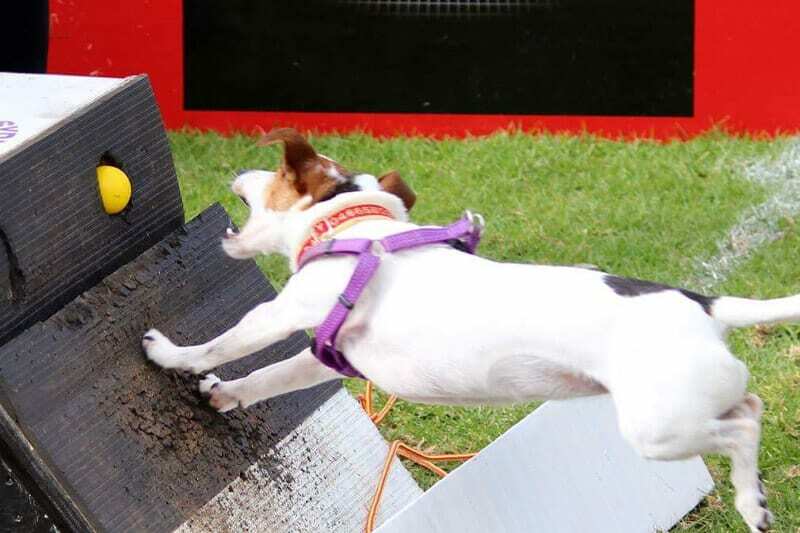 The next dog in the team repeats the sequence until all four dogs have successfully completed the course. 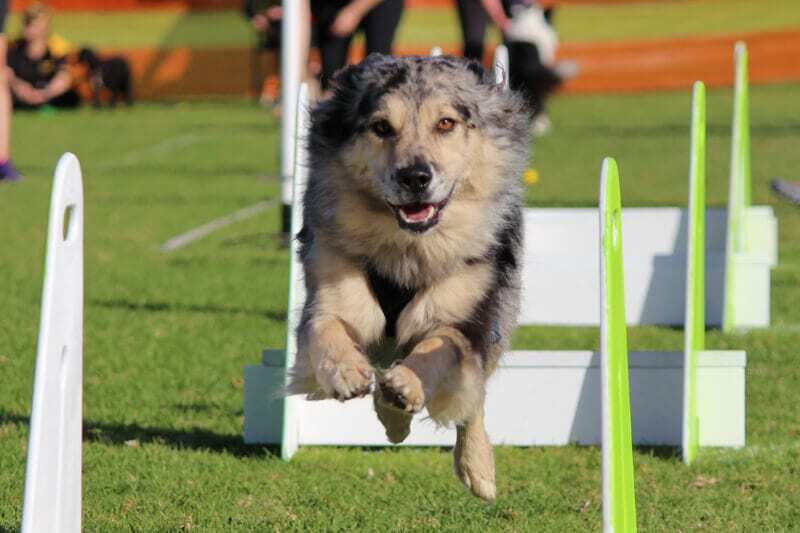 Dogs of all breeds, shapes and sizes participate in Flyball. Teams are graded into divisions based on their declared or recorded time. Competition is fierce across all divisions. 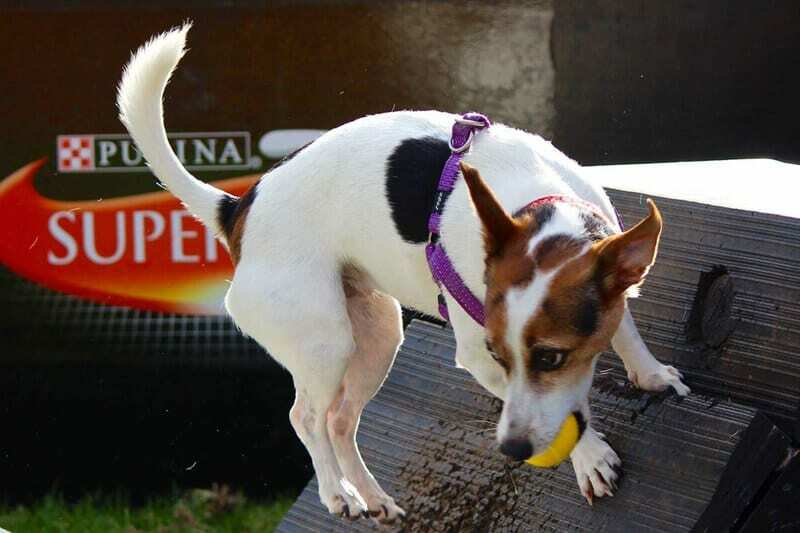 The height of the hurdles is adjusted to a height 5” below the shoulder height the smallest dog in the team. 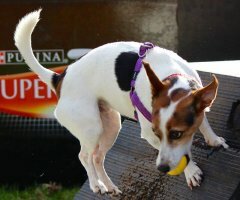 A small dog, or ‘height dog’, gives an advantage to taller dogs in the team and is highly sought after. 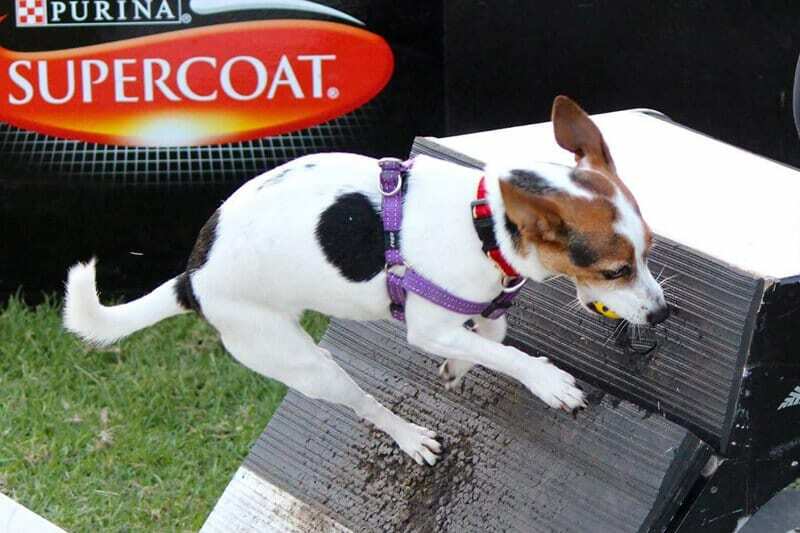 Competitions sanctioned by the Australian Flyball Association (AFA) are run with the aid of electronic timing lights. A drag racing light tree counts down the start of the race. 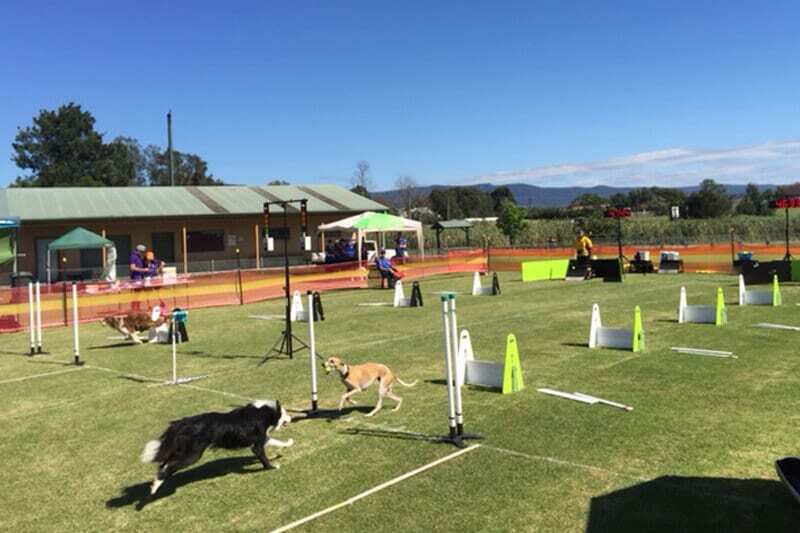 Each dog’s run and the overall team is timed to an accuracy of one thousandth of a second. The lights can also detect when a dog does an early pass. 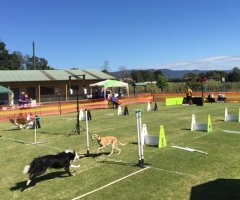 The combination of split second timing and the intense excitement of the dogs participating makes for a great spectator sport. There are no prerequisites to starting Flyball. Dogs younger than 12 months, however, are restricted to flat work such as restrained recalls. 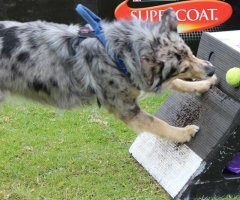 A good recall is essential for Flyball as it is for other dog sports. 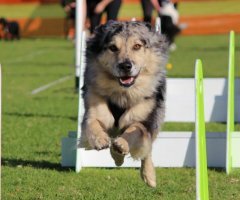 Flyball training enhances obedience and you are encouraged to also participate in the club’s obedience training. 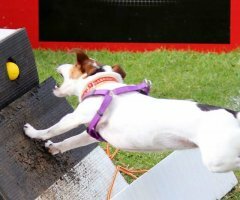 If you are looking to develop a closer bond with your dog in a stimulating rewarding sport then come and give Flyball a go.